Conveniently for David, the multi-stage mega-musical festival is being held this weekend about an hour away from Nashville on a 700-acre farm in Manchester, Tennessee. The acts ranged from Eminem to Neil Young, the Strokes to Alison Krauss/Union Station, The Black Keys to Buffalo Springfield. (Back in the day, I lived for such festivals, although it poured rain at pretty much every one I ever attended 😦 ). I can’t even imagine how inspiring this festival would’ve been for David. And, according to reports, he had backstage access to watch the shows and mingle with, well, whoever he wanted to! These acts are living his dream in so many ways. Creating unique sounds and songs, carving their own niche in today’s musical landscape by making music that connects with people’s hearts and minds then taking it on the road and sharing it live with listeners who LOVE and embrace it! …Yes, David’s already doing much of that and *deep breath* there’s so much more amazingness to come! p.s. So what do you guys think of the Bonnaroo bands David checked out? 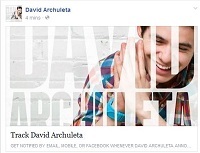 This entry was posted in Special event and tagged David Archuleta takes the Bonnaroote. Bookmark the permalink. TOfan – Just checking in. On a 3 week vacation and spent the beginning in Vancouver and Yukon Territory. Gorgeous city and the Yukon Territory is pristine wilderness and beauty. My kids went to Bonnaroo in years past. And some of our friends (our age) have gone every year since it started…yes, shades of Woodstock with fans (our friends) who were also at Woodstock. Glad David is experiencing Bonnaroo. 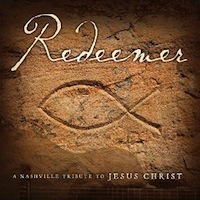 It was a quantum growth experience that my kids had in their late teens that is permanently etched in their memories….different kinds of musicians, different kinds of fans, different lifestyles all collide for 4 days in the heartland of Tennessee. An expanded sense of music, of connection, through the wide range of the sameness and the differences of being human. I couldnt have expressed it any better myself: ‘An expanded sense of music, of connection, through the wide rance of sameness and the differences of being human.’ I’m glad David had the opportunity to go and experience different types of music. Kizzi, your vacation sounds aMAZing, I hope you have lots of pics to share!!! what a fabulous post… thank you! 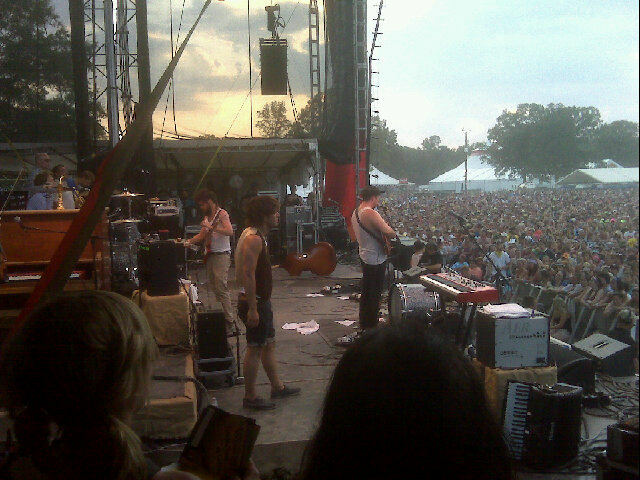 hmm loved all I saw so far from Bonnaroo and David being there and for me anyway my fav so far was Mumford & Sons! goodness I think your last line says it so well..
ha I am beyond excited to see what the future holds for him and for us as well! So happy for David that he is having these experiences both in Nashville and Bonnaroo!!! 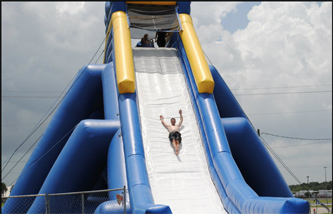 I bet he is having a blast. Glad you shared your sons and friend’s experiences Kizzi. 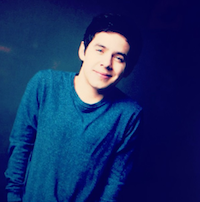 It’s been fun to follow the twitter excitement and sites such as SnowAngelz to hear about….” Where in the world is David Archuleta now????????????. Heard the Amazing Grace encore of the Mumford& Sons and could imagine David back stage singing his heart out and wishing any minute that they would call him on stage!! Definitely, when Mumford and Sons sang ‘Amazing Grace’, I’m sure David was singing his little heart out. It was HUGE a party on stage and EVERYONE was invited. Lol I wish I was there to experience it all. Kizzi, “Glad David is experiencing Bonnaroo. It was a quantum growth experience that my kids had in their late teens that is permanently etched in their memories….different kinds of musicians, different kinds of fans, different lifestyles all collide for 4 days in the heartland of Tennessee. An expanded sense of music, of connection, through the wide range of the sameness and the differences of being human”…..experiences that can present a clarity of the simplicity of the human complexity. All I have wanted to talk about for 3 days is David and Bonnaroo! I LOVE that he tweeted that he had to go back. I just knew he would, lol. Also love that he wanted to, and just did it. Love Mumford and sons, like Arcade Fire and I really like Florence and the machine. I want to hear more of the Decemberists. Thank you David, as always, for pointing me towards music I’ll like but might have overlooked. Love that David got to experience this amazing festival full of unique, creative, inspiring artists. It definitely must have been inspiring for David and cannot wait for his own personal new ‘groove’ in sound with his own personal flavor and insight. That combined with his remarkable gift of music will create some unforgettable sounds and emotions. Glad that he went back and got to hear Mumford and Sons, what a creative and unique sound they have. So many of these artists have their own unique sound and so not mainstream…which I like! Yes, there is most definitely so much more amazingness to come! Popping in to say what’s already been said like 6 times. Go Canucks!!!!!! Love the videos of MH and Blackbird and no doubt a great experience for Reiko, who got to see David in concert at MB. Nothing like seeing David perform for the first time (or anytime for that matter). Very, very happy for the Asian fans! David will have a fabulous time on this tour and now with Malaysia confirmed and also two cities in Vietnam (I see it has been added to his Facebook and OS) what a tour up ahead! Hey Angelzz…. my road trip to NFLD and Labrador is winding down as we start back home. What a fantastic trip!!!! Really gives a feel for how great and grand our country really is. The scenery I saw was incredible. I am in Moncton NB now **waves to abanana** and will need a few days to catch up on all the threads. Trips to Newfoundland, to B.C. and up to the Yukon, this is the most coast-to-coast-to-coast Canadian thread ever!!!! wooooot!!!!! OK so Boston won but it is quite possible that there are more Canadian players on the Boston team than on the Vancouver team!! We have a fellow just down the road (several kilometers actually) on the Boston team and also one playing for Vancouver. SandyBeaches…..you are right about that..there are a lot of Canadian players on the Boston team! The Canucks are still winners too, for making it that far and working so hard. Their year will come when they can hold up that cup! Congrats to Boston. 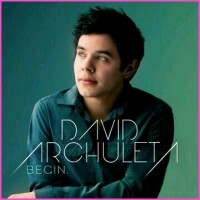 That song by David with the SLC chiildren’s choir is very sweet and his voice sounds absolutely lovely but yes…a little “build a bearish”. Guess it is meant to be that way with a children’s choir. 🙂 Probably done a few years ago? Had to come out of lurkdom to express my support for the Canucks; soooo bummed that they didn’t win! But yay for Canadians on the Bruins team…hadn’t thought about that. I’m quite sure that song with the children’s choir was done back in 2007. Power in Purity was the theme for the LDS Church’s summer youth conferences that year (Especially for Youth, aka EFY). They probably recorded it in the hopes that it would make it onto the official CD (it didn’t though). So, ya, it’s probably old. Utahmom, thanks for that info about the Children’s Choir song, that makes a lot of sense. Would love to hear David sing TAGGB with a full gospel choir live someday! Well, David Archuleta is here at The Civil Wars concert. Hasn’t started yet. Can’t believe I left my camera in the car. Archie’s standing behind me, by the way. Maybe I should’ve saved my hello until after. Don’t want Archie to feel awkward, haha. It’s wierd that Archie can watch me take photos during the show. The opening artist should be on #TheVoice. I feel weird answering the Q’s I’m getting, haha. Uh…camo shirt? So Archie’s a little taller than me. His friends were friendly & I guess I couldn’t hide my flail over the show since they’re right there. Recorded partial of “Billy Jean” cuz ran out of batteries. Turned around to say so & realized I was talking to Brit & Archie friends lol. LOVED the Billie Jean cover. Joy Williams used quote fingers for “dance on the floor.” Archie smiled & laughed as most did. Asked if he’s been a fan of TCW for awhile. He said he’s friends with them. Oops, forgot he collab with Joy for last album. Archie was behind me & later next to me 3 feet away later. @hodgesmusic Oh crap, I just realized something. Is your hair color blonde-ish color now? Were you with David A.? I was at that concert too.